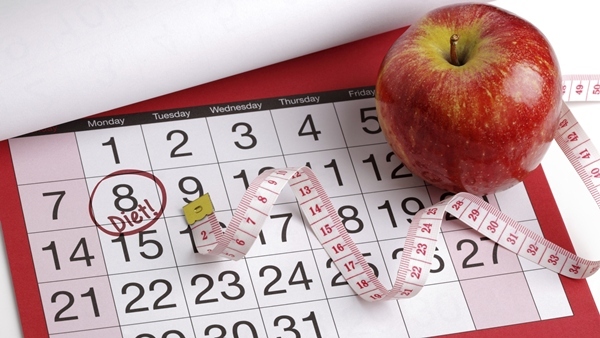 Is your New Year’s Resolution to lose 10 pounds or get into better shape? You might find that difficult if you still have that pesky little habit of excessive snacking. Eating in between your large meals is important for many people. It is a good way to get your necessary nutrients throughout your day, while also giving you energy. The common snack foods such as potato chips, pop, and candy are not useful when it comes to accomplishing your weight loss resolution. When you eliminate processed foods from your diet, you discover there are plenty of whole food snacks readily available to you. If you like fast food, well, whole foods are the fastest food alive with either zero or very little preparation needed. Here are three healthy snacks you should pack on the go every day to help control your weight. This is what I call the 3 A’s of Weight Loss Snack Time. It’s true what they say, “An apple a day, will keep the doctor away.” This is true for many reasons because they contain high fiber and vitamins and few calories. The health conditions related to obesity include heart disease, hypertension (high blood pressure), stroke, sleep apnea, and type 2 diabetes. High fiber foods such as apples help control your weight because you get full and there are minimal calories. Apples are easy to prepare. Just wash and there you go. They fit in the palm of your hand, and every bite has you enjoying that sweet crunchy taste. You could also cut them up in pieces for a bite size treat. Almonds are one of my favorite nuts and they contain good amounts of manganese and vitamin E, among many important nutrients. They are also high in fat, but most of it is the healthy kind—monounsaturated fat. Remember, not all fat is equal. In a study in Spain involving 8,865 adults, researchers found that 31% were less likely to gain weight from eating nuts at least twice a week than those who seldom ate nuts. Isn’t that nuts? MORE: Can Eating Nuts Make You Live Longer? I like to create my own trail mix, combining almonds, sunflower seeds, pumpkin seeds, dried currants, dried apricots, and sulfite-free raisins. Almond butter is a great nut spread alternative for those with sensitivities and allergies. I only started eating avocado about a year ago. I wonder what took me so long! Not only does its smooth rich flavor taste amazing but they are great sources of vitamins, minerals, protein, and fiber. One cup of avocado contains 39.91% of your daily value of fiber. High fiber foods keep you full—and so does the avocado’s oleic acid, which is a compound in monounsaturated fats. Avocado are extremely versatile, I have found. You remove the pit, and eat it with a spoon. You can peel the fruit and eat it like an apple. Also, add half an avocado to your green smoothie for an excellent creamy taste. You can spoon out bite size pieces and toss them in your salad, or make an easy guacamole for dipping. I use one organic lemon slice, about eight chopped grape tomatoes, a quarter of a green onion, half an avocado, and some spices. I mix well, and now I have a great avocado dip. “15 health benefits of eating apples,” Best Health Magazine web site; http://www.besthealthmag.ca/eat-well/nutrition/15-health-benefits-of-eating-apples, last accessed Dec. 19, 2013. “What’s New and Beneficial About Apples,” The World’s Healthiest Foods web site; http://www.whfoods.com/genpage.php?tname=foodspice&dbid=15, last accessed Dec. 19, 2013. “Almonds,” The World’s Healthiest Foods web site; http://www.whfoods.com/genpage.php?tname=foodspice&dbid=20, last accessed Dec. 19, 2013. Herrington, D., “9 Health Benefits of Almonds,” Care2 Healthy Living web site, Dec. 5, 2012; http://www.care2.com/greenliving/8-health-benefits-of-almonds-king-of-nuts.html, last accessed Dec. 19, 2013. “Best Superfoods for Weight Loss: Avocados,” Health.com web site; http://www.health.com/health/gallery/0,,20475957_4,00.html, last accessed Dec. 19. “Avocados,” The World’s Healthiest Foods web site; http://www.whfoods.com/genpage.php?tname=foodspice&dbid=5, last accessed Dec. 19, 2013.